Note that if you are a US citizen or resident then i) the companies mentioned below will probably be unwilling to deal with you, in line with the usual problems for US citizens and residents opening accounts abroad and ii) buying foreign funds will usually create higher tax liabilities for you than buying US mutual funds. For wealthy investors, there are plenty of offshore fund platforms. Usually based in a tax haven such as the Isle of Man, they typically combine access to a wide range of funds with a tax-advantaged wrapper such as an offshore investment bond. Their supposed goal is tax efficiency rather than cutting an extra half a percent off fund charges, and an eligible investor would usually choose one with the help of a financial adviser and careful attention to his tax circumstances. These platforms are not designed for retail investors. They have high minimum investments and high fees. In practice, their value for any investor – wealthy or not – is often questionable and they seem to be mis-sold frequently by unscrupulous advisers because they pay very high levels of commission. Instead, fund supermarkets for retail investors normally concentrate on selling funds authorised for sale in their country to residents of the same country. Doing anything else presents a bit of a regulatory headache. For example, if a fund based in Singapore is not authorised for sale in the UK, it’s not supposed to be marketed to investors in the UK at all. So offering it on a UK fund supermarket platform would quickly get the platform in trouble. Within the European Economic Area (EEA), the Undertaking for Collective Investment in Transferable Securities (UCITS) rules mean that funds domiciled and authorised in one country should be easily passported into others. So you will find that some EEA fund supermarkets will offer a range of offshore funds from other EEA countries. But the funds still have to go through the registration process, which is only worthwhile if the provider thinks enough people will buy it. So there are limits on what overseas products a fund supermarket can offer, both legally and practically. However, in many cases it’s still fine for you as an individual to buy funds not authorised or registered in your home country. It’s just that you must approach the foreign fund distributor directly, rather than them marketing to you. If they’re happy to deal with foreign clients – and companies in many countries are – you can invest directly with them. The problem with buying funds directly is that it leaves you having to deal with every separate fund manager in turn, bringing you right back to the reason for using a fund supermarket in the first place. So what you need to make things easier is a fund supermarket based outside your home country that is happy to accept non-residents and has a good range of funds authorised for sale. That narrows things down pretty quickly. At present, there are only a handful of well-known and reputable firms that will do this and offer something useful to most international investors at a reasonable cost. If you’re looking for funds in Europe, the obvious place to go is Internaxx, the Luxembourg subsidiary of TD Waterhouse. As well as offering a sharedealing account covering 15 countries, it also operates a fairly extensive fund supermarket. At time of writing, it has 380 funds available from 20 managers. This isn’t the best fund line-up ever – it’s dominated by well-known fund houses and banks known for decidedly mediocre products – but there are a few potentially useful boutiques and specialists in there. It’s probably most useful for investors outside Europe, but even if you are resident in another European country, it has some funds that may well not be available through retail supermarkets in your home country. Another alternative is Keytrade Bank, which offers a slightly wider selection – it has around 400 funds from 36 managers on the platform. It charges a small entry fee for each fund, but no custody fees, so may work out cheaper than Internaxx, which has the opposite fee structure. If you’re looking for funds in Asia, try Fundsupermart, a Singaporean company joint-owned by local stock broker DMG & Partners (which in turn is joint-owned by Deutsche Bank and OSK) and Singapore Press Holdings. It now operates in four countries – Singapore, Hong Kong, Malaysia and India, although the Indian arm is closed to non-residents. An alternative in Singapore is Phillip Securities, which in addition to operating one of the best stock brokerages also allows you to deal in funds through the same account. It currently offers 426 funds from 25 managers. The third major local player – Aviva-owned DollarDex – has around the same number of funds, but currently only accepts residents of a limited number of Asian countries. Lastly, Charles Schwab Global offers offshore mutual funds to its non-US clients. It presently offers around 250 funds from 21 managers and requires a minimum account of US$25,000 (which can include US and international stocks as well as funds). What about platforms that allow foreigners to buy US mutual funds? Here the situation is confusing and contradictory. Within the US, for low-cost dealing, you would normally use a discount brokerage with a good range of mutual funds such as Scottrade, although for some fund managers such as low-cost pioneer Vanguard it can makes more sense to go direct. Buying US mutual funds as a non-resident is difficult – seemingly due to a combination of money laundering and tax laws that mean that most companies don’t want to deal with you. But whether it’s possible seems to be down to luck. I know of overseas investors who’ve managed to open US mutual fund accounts and those who been turned down, when both tried the same companies within a matter of months. So if you want to go down this route, the only solution seems to be to try all the big providers and see if you get lucky. No single supermarket definitely and unambiguously seems to accept non-residents. Whether non-residents who have opened an account have done so are in full compliance with the rules or whether they might suddenly find it shut by the company is also unclear. Whether it’s worth the effort is also questionable. Investors in US mutual funds suffer from unfavourable tax treatment on capital gains within the fund compared with those in many other regions, which acts as a drag on performance. Historically, this was partly offset by lower fees – especially at indexers such as Vanguard – but with fees slowly coming down in many other countries these days, that’s no longer such a clear advantage. These supermarkets are pretty much the only mainstream choices for retail investors. There are other offshore fund platforms in Europe that cover a much wider range of European funds. Notably, Luxembourg-based Moventum offers over 7,000 funds from over 300 providers. Unfortunately, these intended for the use of financial advisers and wealth management firms and their clients. You can’t simply sign up to Moventum as a self-directed retail investor. And so far, we haven’t seen the emergence of low-cost discount brokers that provide a front-end for retail investors to access these platforms and manage their own investments, as we have with onshore fund supermarkets in the UK, for example. To go through any existing intermediaries means paying adviser-level fees, which rather defeats the point of managing your own investments. However, a number of companies are developing other offshore fund platforms in Europe and it wouldn’t be surprising if some of these end up supporting a service that retail investors can access cheaply. So we may see more choices appearing soon. You will come across other offshore companies claiming access to a wide range of offshore funds. Generally, these companies are based in loosely-regulated or unregulated markets, which makes it easier for them to market funds from around the world without falling foul of any local legislation. But be aware that when you are using a financial provider outside your home country, your account will be covered by rules in that country rather than your own. Countries such as Luxembourg and Singapore have established investor protection schemes and the risks to your investments – other than normal market risk – should be very small. But if you’re dealing with a fund distributor in the Cayman Islands, you may have little or no protection against fraud. Undoubtedly, there are very good financial advisers working out of some of these countries who can help you access a wide range of global funds, albeit at a price. But I don’t know any well enough to be comfortable recommending them and any investor going down this route should take considerable care and exercise due diligence. 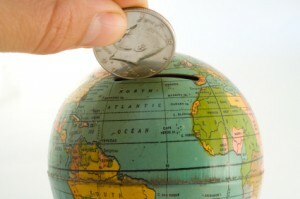 You should also take care to keep your tax affairs in order when investing in offshore funds. Any offshore investments will usually still be liable to income and capital gains tax in your home country. And some governments tax offshore investments more harshly than those made through domestic funds. Both the UK and the US will often tax capital gains from offshore funds at higher income tax rates. This can easily wipe out any advantages you might get from the offshore fund in the first place. Equally unexpected rules may apply for residents of other countries. So make sure you check your tax position carefully before buying foreign funds.